1. Season and grill chicken. 2. Mix romaine, iceburg, napa cabbage and matchsticked carrot in a BIG serving bowl. I love doing salad bars! They are fun, easy and healthy and always a hit with a crowd. I have never done an Asian theme salad bar- I am going to have to do this- great idea- thanks! 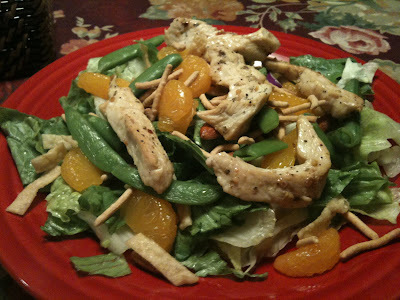 Love salads and love that one!